When it comes to wireless earbuds on the market today, there are a number of options to choose from, with the most popular being the Apple AirPods (which were just recently refreshed) and the Samsung Galaxy Buds. However, according to a new report, a new competitor might be on the way from none other than Microsoft. Microsoft is no stranger to “smart” audio devices, as it launched its Surface Headphones with integrated Cortana support late last year. Now, the company is looking to shrink that technology down to a wireless earbuds form-factor. The hardware will likely be marketed as Surface Buds if and when they are released, but are currently being developing under the codename “Morrison” according to Thurrott’sBrad Sams. The Surface Headphones carried the codename “Joplin” after Janis Joplin (according to reports), so perhaps Morrison is a reference to The Doors’ James Morrison. 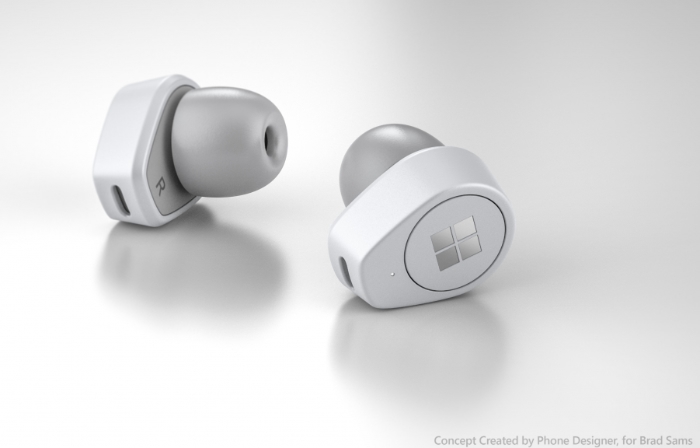 What remains to be seen is how Microsoft will be able to make the Surface Buds stand out from the competition. AirPods tie in natively with Siri on the iPhone, while the Galaxy Buds are a natural fit for Bixby on Galaxy devices. Unlike Windows 10, which has the built-in Cortana digital assistant which the Surface Headphones can natively access, Microsoft doesn’t have its own smartphone platform. This could make it tricky for Microsoft to offer a compelling and truly hands-free Cortana experience on devices like the Galaxy S10, and especially with the walled garden surrounding the iPhone. If this report is accurate, Microsoft won’t be the only “big name” technology company one looking to challenge the likes of the AirPods. It was reported earlier this month that Amazon is looking to bring its own wireless earbuds to market leveraging the Alexa digital assistant.